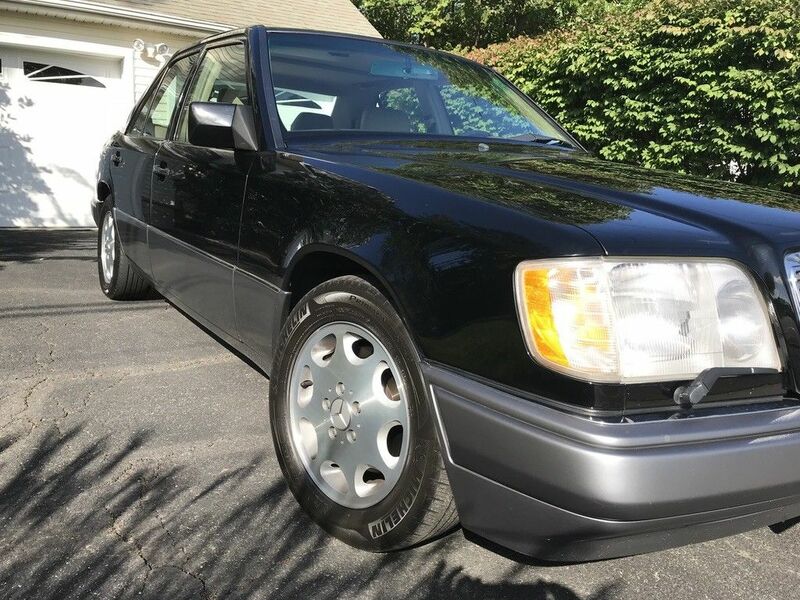 Bought in 1994 brand new by Mercedes fan of German heritage. 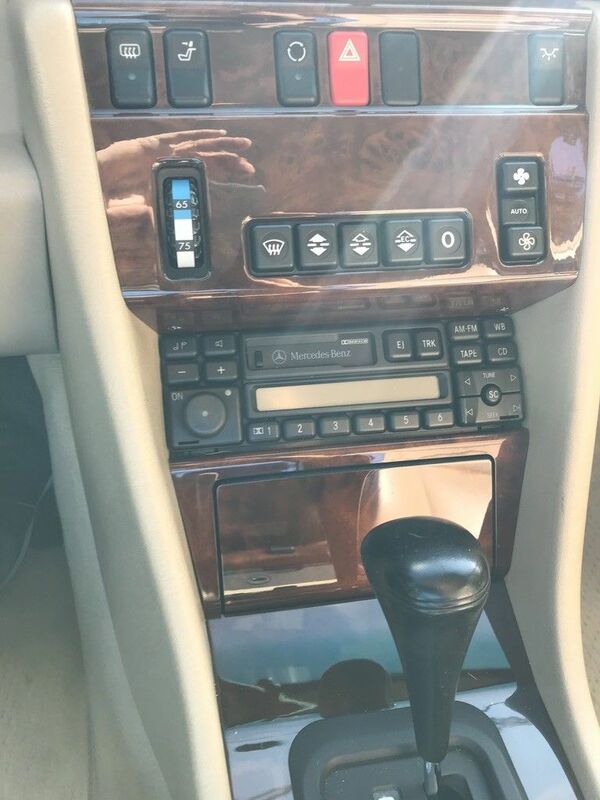 Serviced by Mercedes dealership and German car expert from 1994-2008 in Texas. 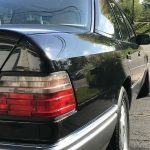 Serviced by Mercedes dealership and German car expert on Long Island since 2008. Always garaged, never had an accident. Hood and front fenders were repainted after a concrete truck spilled liquid concrete at construction site. Timing chain was replaced at ca. 100 000 miles, transmission fluid changed in 2016. Regular oil changes were done at each 3000 miles. There are 3 small areas of rust: at windshield frame L+R and under right back light. Everything works: e.g. cold A/C, sunroof, all switches, windows, locks, heating etc. Transmission is smooth. Engine starts well, no smoke or odor, and runs powerful. Transmission shifts well, reverse engages firmly. 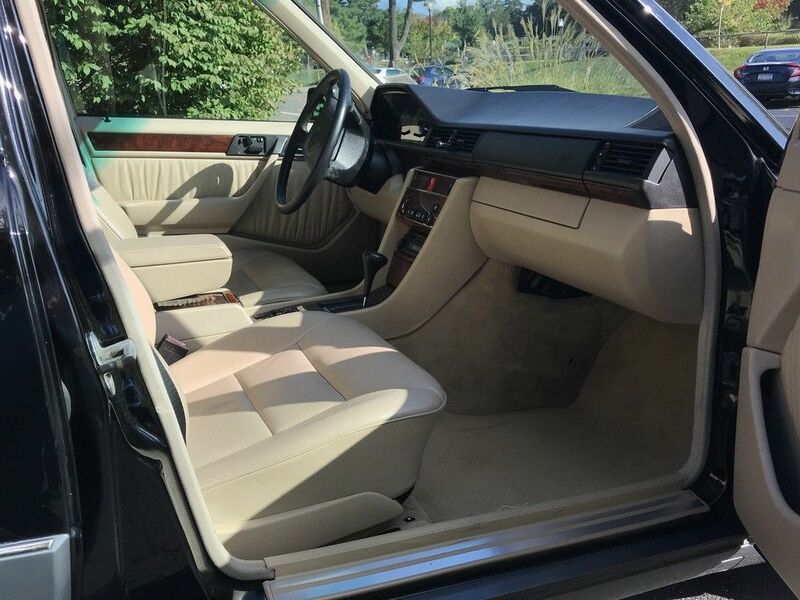 Leather is smooth without blemishes or cracks. All materials on interior look spotless. Car is available immediately. Buyer has to pick it up in person. Acceptable payments: Bank Teller’s check, Wire Transfer (bank to bank) or cash. Vehicle can be inspected prior to bidding in Huntington, NY. Contact me via email for details. Vehicle and its title will be only transferred after full payment has been received and verified, no exceptions! For additional details, contact me via Ebay and I shall call/text you with further information. This car really caught my eye because it looks really clean in the photos. The description highlights the maintenance with the big timing chain job being done at 100,000 miles. Usually the M119 doesn’t need a new chain or guides at that mileage, but I suppose it can’t hurt for it to be replaced already. 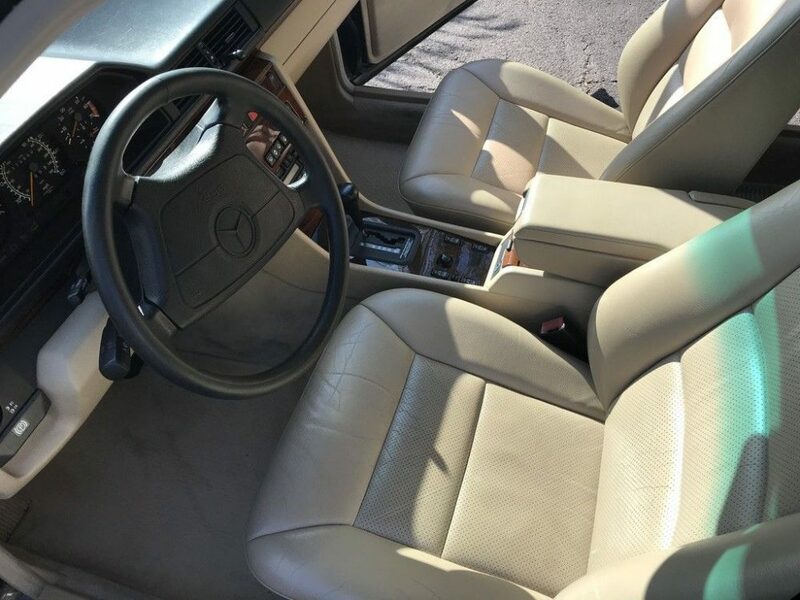 The interior is nice with no rips or tears in the leather and the wood is especially nice for 176,000 miles. This car isn’t all good news as it has some rust under the passenger side taillight and under the windshield frame – all places that aren’t fun to try to remedy. I think if you are buying this as a daily driver it wouldn’t be a deal breaker, but if this was to be a long-term car, I might look elsewhere. The seller started the bidding at $5,750 without reserve so that is the floor on this car. 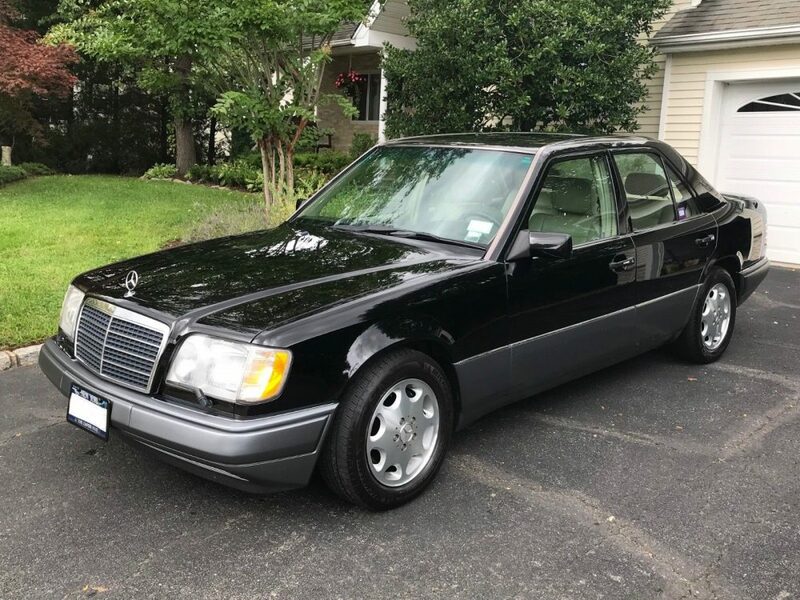 It was previously listed at the same price and didn’t receive any bids, so I don’t have high hopes this time around for this E420. The mileage and rust are probably holding it back a little and something like this is always a tough sell without seeing it in person first. 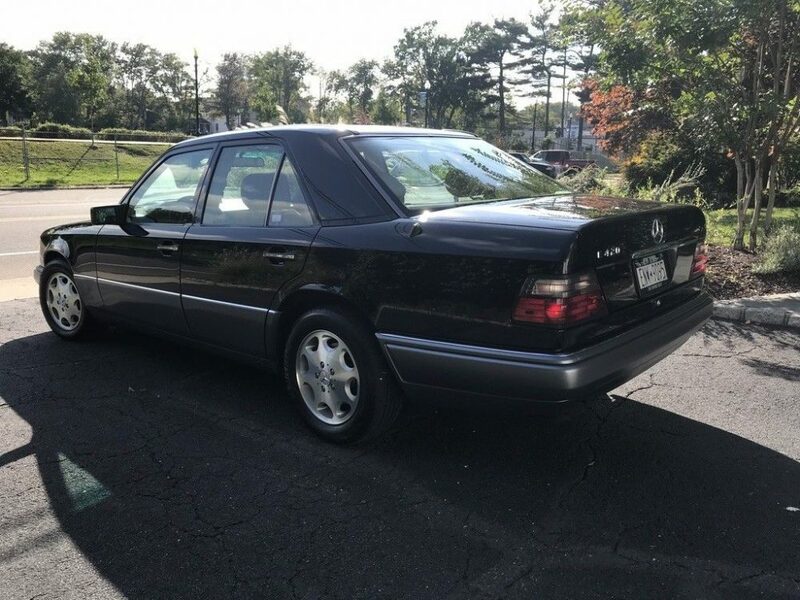 I think something in the $4,000 range might be a better starting point for this car if the seller really wants it gone. Maybe some better photos would help this one too, but right now as it sits I think the seller will be holding on to it a little longer. 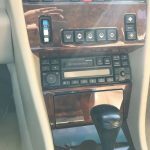 Tagged 034, 1994, E class, E420, M119, Mercedes Benz, V8, w124. I did think that line was a little odd. These aren’t worth almost $6k with 100,000 miles. 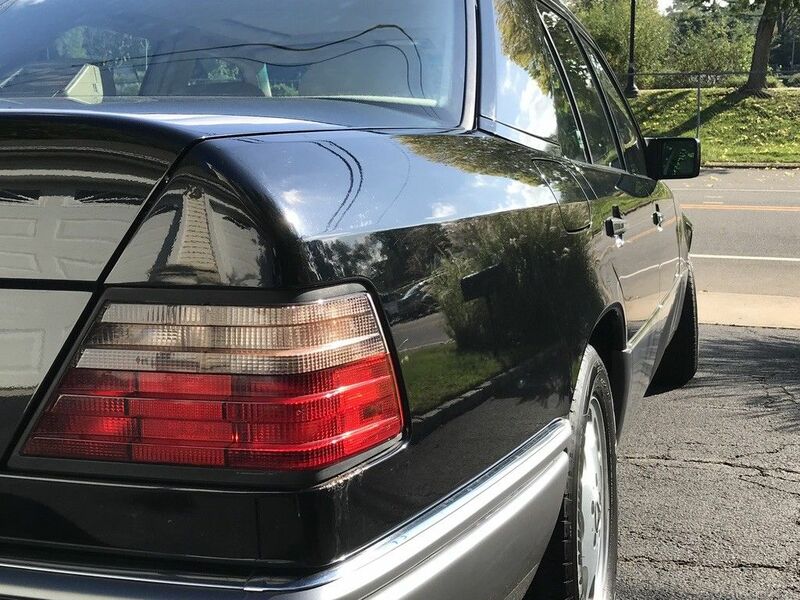 Looks decent for the mileage but being a northeast car with rust showing on APillars and below taillight and with zero undercarriage photos I would run away especially at this ask. I’d prefer to find an example from Texas or similar climate. some of your comments are spot on and for me as seller appreciated. 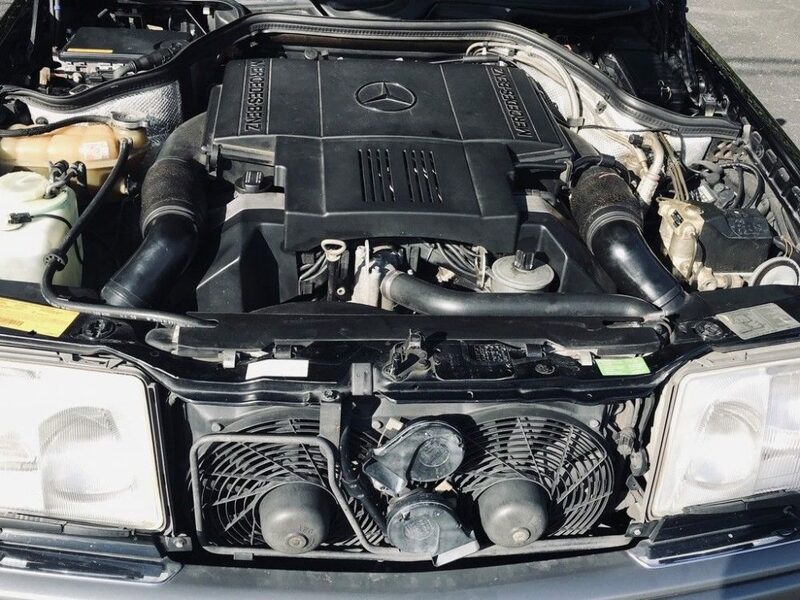 For those who stumble over my description “German heritage” let me explain: the reason the car drives and looks the way it does is the fact that “German” owners (more likely) keep their cars in clean condition and take care of expensive items. As far as the few minor rust spots are concerned: I am disappointed that despite the rigorous care rust developed at windshield frames, the least typical place for rust. However, I consulted with a bodyshop which estimated ca. $800.00 to take care of these issues of all areas! To those dudes who use the blog to kill their time with ape-like attitudes: “Forget about it”!! Your argument for the German-owned line is completely bogus, and quite honestly, kind of racist. I’m not usually one to call this kind of stuff out, but this is just bizarre. Please everyone, let’s keep the commentary light. No need for personal attacks on either side of the argument. Thank you! 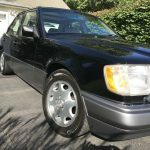 MBZs of that vintage, especially W124s and W210s have to be from a dry state. I bought my 1992 230E in Japan.